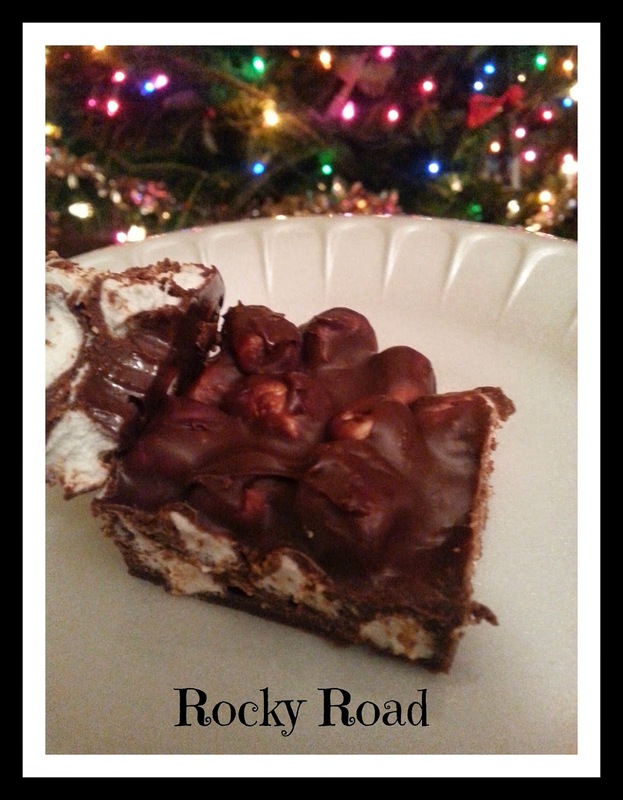 Here is another favorite Christmas food tradition that we love at my house. Again, it's very simple! Add chocolate chips, milk, and butter to a bowl and microwave on high for about a minute and a half - be sure to stir about every 30 seconds. Fold in marshmallows until completely combined and add to a 9x13 pan to chill in fridge for 2 hours.